Sven Ulreich (r.) made a number of vital saves for Bayern Munich against Borussia Dortmund in last Saturday's Klassiker win. How do you replace the best goalkeeper in the world? With some difficultly, as Sven Ulreich freely admits. 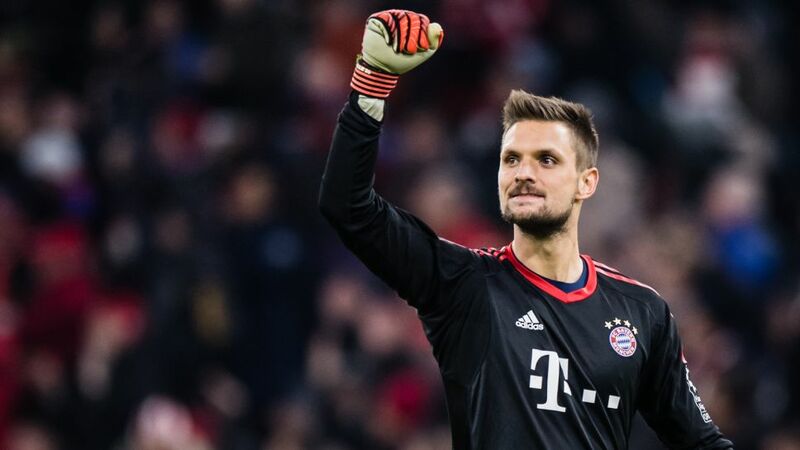 Yet after a prolonged spell in the side in the absence of the injured Manuel Neuer, the 29-year-old is beginning to flourish at the reigning Bundesliga champions. The former Stuttgart goalkeeper faced Bayer Leverkusen on Matchday 1, but dropped to the bench again for the next three games after Neuer's return to fitness. Yet a fresh injury to the Bayern and Germany No.1, which has ruled him out until after the winter break, has thrust Ulreich into the limelight again and he has not missed a minute of action since Matchday 5. Watch: Ulreich made crucial saves in Bayern's Klassiker win! Having played just six league games over the previous two years, however, the transition was not an easy one. "You can do all the training you want but that can't replace playing in a match," Ulreich told Bayern's official website. "You need some time to get into your rhythm." That much was all too apparent on Matchday 6, when Bayern let slip a two-goal lead against Wolfsburg to draw 2-2, with Ulreich's fumble from Maximilian Arnold's free-kick early in the second half allowing the Wolves back into the game. "That wasn't great and it bugged me a lot," he said. He was also unsettled in the club's next fixture, a 3-0 UEFA Champions League defeat away to Paris Saint-Germain, but it is testament to the goalkeeper's ability and self-belief that he has moved past those wobbles. "I've grown a lot in my time here," he told fcbayern.com. "Bayern wouldn't sign a bad keeper as a back-up for Manu." Subsequent performances have proved him right and he has kept four clean sheets in the ensuing eight matches in all competitions. Ulreich was also the hero as Bayern progressed to the DFB Cup last 16, saving a penalty from RB Leipzig striker Timo Werner to help Jupp Heynckes' side through in the shootout. That confidence-boosting outing laid the foundation for another match-winning display, this time in Der Klassiker away to Borussia Dortmund on Matchday 11. Bayern won 3-1 to go six points ahead of their Black-and-Yellow rivals, with Ulreich instrumental in the victory. "Dortmund had three very good chances to score but Sven reacted superbly," Heynckes said afterwards, recalling impressive one-on-one saves against Pierre-Emerick Aubameyang and Andrey Yarmolenko at crucial moments. "Sven did really, really well and put in a top-class performance," echoed Bayern sporting director Hasan Salihamidzic. "He had a great game. Respect." And although Neuer is expected to return to training in January and regain his place in the Bayern side, Ulreich harbours ambitions of his own: "I'm happy things are going so well now and I hope it stays that way in the near future." If he can continue in the same vein between now and Bayern's last match of the year, the DFB Cup last 16 clash with Dortmund on 20 December, he will have proven he is more than capable of holding down the fort for the record champions.